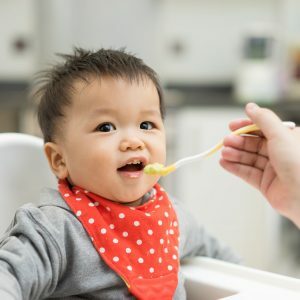 Join us for an upcoming webinar on the on the early introduction of allergenic foods for high-risk infants. Learn more from one of the co-authors of this new guidance. What is the webinar about: The updated guidance on early introduction of allergenic foods, not just peanut. And what it means, followed by a Q&A where you can ask questions. Who is presenting: Canadian paediatric allergist Dr. Elissa Abrams who is an Assistant Professor in the Department of Paediatrics, Section of Allergy and Clinical Immunology at the University of Manitoba; and a co-author of the newly released Canadian Paediatric Society (CPS) practice point on the introduction of allergenic foods. She is also Vice Chair of the Anaphylaxis and Food Allergy Section of the Canadian Society of Allergy and Clinical Immunology; and President of the Allergy Section of the CPS. Who should attend: This webinar is geared towards parents and caregivers. We will be hosting a webinar for healthcare professionals on this topic in June. Also, please share with others who may benefit from the session. At registration, you will have an opportunity to submit your questions in advance of the webinar.